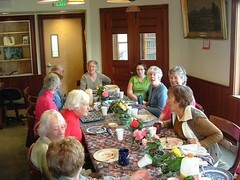 Each year the staff honors the volunteers by throwing them a breakfast party. These special people help the library in so many different ways – including assisting patrons, shelving books, keeping our gardens beautiful, working in the genealogy and history room, and taking on other special projects as needs arise. 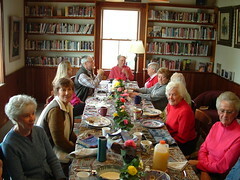 This annual breakfast is a small way of saying thanks for the many hours of service our volunteers provide to the library each year. Ruth, Joan, Millie, Jean, Nancy, Penny, Hollis, Athena, Cathy, Bob and Judy – here’s to you! !